WHEM worked with D.L. 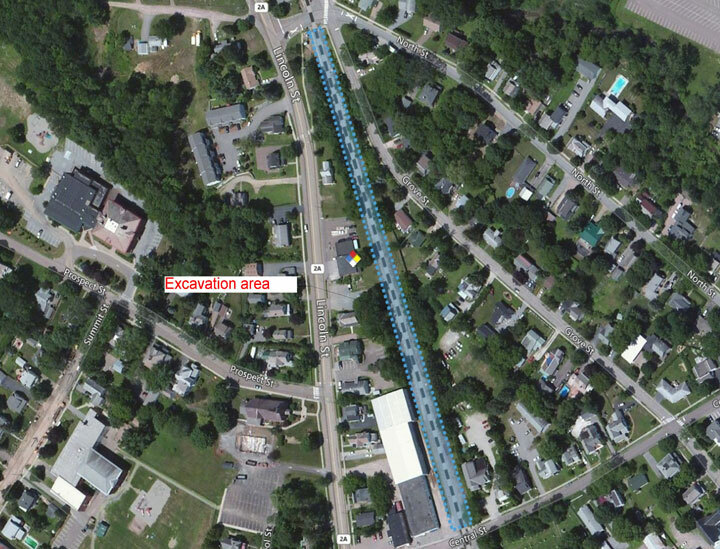 Hamlin Consulting Engineers, Inc. and Don Weston Excavating, Inc. as the Qualified Environmental Professional (QEP) for the redevelopment of a length of railroad in Essex Junction, VT into a multi-use pathway. Other parties involved in the project include the Village of Essex Junction, New England RR, and VTrans. In addition to generating a site-wide Health and Safety Plan and providing general oversight for the excavation, WHEM also conducted soil testing for management of potentially hazardous soils, and hydraulic conductivity testing in order to determine whether natural drainage would be sufficient for the project. By avoiding the installation of underdrains, the project attained significant reductions in the volume of soil spoilage and overall construction time. The shallow excavation area includes a railroad bed, and straddles a VOC plume from a nearby service station. Contaminants of concern at this site were VOCs, Petroleum, PAHs, herbicides, and metals associated with the railroad. The project was completed successfully in the summer of 2016.